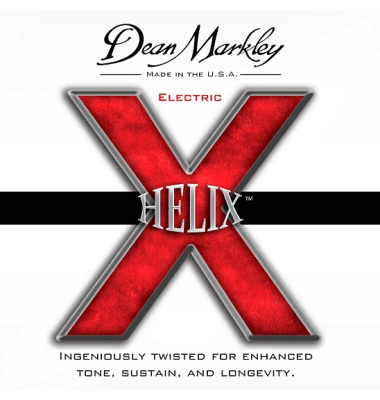 A 3-pack of Dean Markley's renowned Helix electric guitar strings. Gauges: .010, .013, .017, .026, .036, .046. 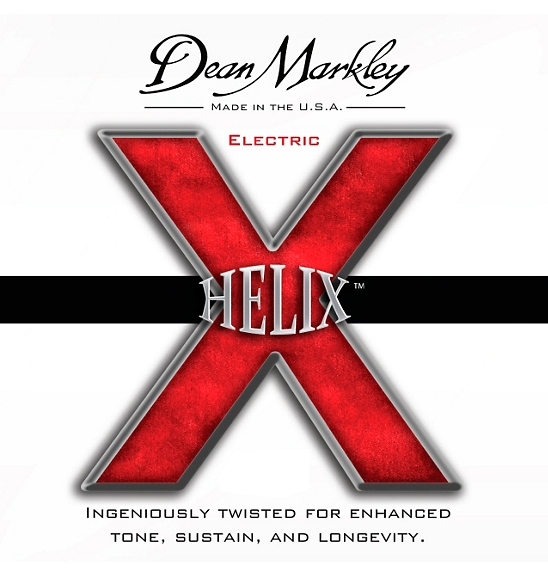 Made of nickel-plated steel, Dean Markley HELIX HD electric guitar strings have a general gauge range for the average players needs to give you a balanced sound. However, these are anything but ordinary strings. It took over a year and many trials for the Dean Markley team to find the precise elliptical shape for the winding wire that make up the patent-pending, Hyper-Elliptical Winding process of the Helix HD. This shape then had to be paired with the correct winding process that would produce these stupendous results-the maximum mass for the electric guitar string's diameter that still maintained the string's vibrancy. More mass makes a fuller tone; more windings give a smoother feel as well as a brighter, more resonant tone. This provides a smoothness and performance unrivaled by conventional guitar strings. When you press and strum a normal wrap wire, your fingers experience resistance as they go down into each depression between the wraps. With the Dean Markley HELIX HD electric guitar strings you'll experience smoothness. These less coarse wrappings let your fingers glide more easily and smoothly along the surface of the wrap wire.